By Richard M. Sherman. Arranged by Andrew Wrangell. Solo Part. 2 pages. Published by Andrew Wrangell (H0.219829-131980). 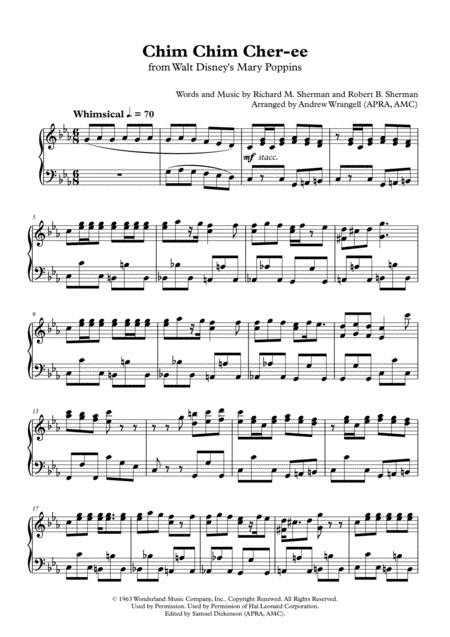 This Sheet Music Boss arrangement by Andrew Wrangell is approximately grade 4 level. 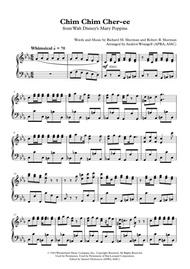 It is one of the most well-known songs from Mary Poppins, so it's sure to be a great piece of repertoire for a concert! Somewhere - From "West Side Story"
August 09, 2018 I Love It! This is a fun and easy version of the original song from"Mary Poppins". If you're looking to learn it, I'd suggest using this!